Humans have a fitful relationship with the clock, if modern idioms are any indication. Time flies when we’re having fun. It drags when we’re bored. Sometimes it’s on our side; other times it’s racing against us. The gap between how time passes and how we experience it has engaged psychological scientists for more than 150 years. Pioneers in psychophysics such as Gustav Theodor Fechner and Ernst Heinrich Weber set the foundations for this line of research in the 1800s as they explored the intricacies of human perception. Flash forward to the 21st century, and the study of time perception serves as a hallmark of integrative research, mixing linguistics, neuroscience, cognitive psychology, and attention research to explore the ways people feel the minutes and hours pass. For decades, scientists conceptualized time perception according to theoretical models that essentially posited a biological stopwatch in the brain, which slowed and accelerated in line with attention and arousal. More recently, researchers have been searching for the precise brain areas responsible for internal timekeeping. Using newer technologies such as functional MRI, scientists such as APS Fellow Warren H. Meck at Duke University have concluded that a large network of neural areas, not just a single brain structure, underlies time processing. And neuroscientists in Europe, including Nobel laureate Edvard Moser, have been using optogenetics (a biological technique used to control and monitor individual neurons) with mice to identify specific brain regions that affect our subjective timekeeping. In the midst of the neuroscientific focus on time perception, scientists continue to recognize the integral role that happiness, sadness, fear, and other emotions play in the way we feel the passing of seconds and minutes. APS James McKeen Cattell Fellow Mihaly Csikszentmihalyi of Claremont Graduate University first identified the way enjoyable experiences can affect our focus on time. Csikszentmihalyi famously coined the term “flow” to describe the experience of being so happily immersed in an activity — be it athletics, work, or a creative project — that all distractions are shut out. A key feature of the flow experience is a distorted sense of time — typically a feeling that time has passed faster than usual. Subsequent research has identified the sheer pursuit of rewards, from experiences to material goods, as an ingredient for temporal illusions. These studies often incorporate the oddball effect — a phenomenon in which encountering novel stimuli inflates perceived durations. Dartmouth University psychological scientist Peter Ulric Tse and colleagues demonstrated this effect in 2004 when they showed research participants repetitive images flashing on a computer screen, followed by a single novel image. Although all the images stayed on the screen for the same amount of time, participants reported that the oddball image seemed to last longer than the others. Psychological scientists in the Netherlands recently demonstrated the influence of potential rewards tied to the oddball effect. In a series of lab experiments, Michel Failing and Jan Theeuwes of Vrije Universiteit Amsterdam showed participants a series of images, one of which was different from the rest. The participants indicated whether the oddball image stayed on screen for a longer or shorter period than the rest of the images. When they could earn a reward for a correct answer in the form of a large number of points, they perceived the oddball images as prolonged compared with oddballs that earned them no points. Being presented with the opportunity to earn a reward may make seconds or minutes seem prolonged, but desire may have a rather different effect, according to a 2012 study conducted at the University of Alabama. In a series of experiments, psychological scientists Philip Gable and Bryan Poole examined “approach motivation,” the drive to achieve goals, positive experiences, or vital resources such as food and water. Relative to neutral states or positive states with low approach motivation, positive states with high approach motivation shortened perceptions of time, they found. In one of the experiments, the researchers trained participants to tell the difference between pictures shown for a ‘short’ (e.g., 400 ms) or a ‘long’ (up to 1600 ms) period of time. The participants then viewed pictures that were neutral (geometric shapes), positive and low in approach motivation (flowers), or positive and high in approach motivation (delicious desserts). For each picture, they had to indicate whether the picture had been displayed for a short or long period of time. Just as the researchers hypothesized, the participants perceived the enticing pictures of desserts as having been displayed for a shorter amount of time (regardless of the actual duration) than either the neutral geometric shapes or the pleasing pictures of flowers. The researchers also found that the perceived amount of time for the enticing pictures was related to when participants had eaten that day. Those participants who had eaten recently, which presumably lowered their approach motivation for food, judged the dessert pictures as having been displayed for longer periods of time than did their hungrier peers. A second study, in which participants reported time as passing faster when they looked at the dessert pictures with the expectation that they would be able to eat those desserts later, confirmed these findings. Gable and Poole propose that states high in approach motivation make us feel as though time is passing quickly because they narrow our memory and attention processes, helping us to shut out irrelevant thoughts and feelings. The study authors suggest this phenomenon may have a helpful function: If reaching a goal requires waiting or sustained hard work across a period of time, it would be an advantage if that period seems brief. Other positive emotions may have the opposite effect on time perception, studies show. 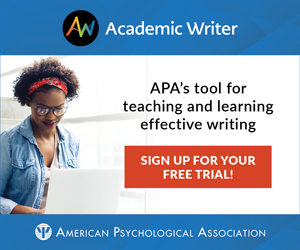 In 2012, behavioral science researchers from Stanford University and the University of Minnesota published their results from a trio of experiments examining the consequences of awe-filled experiences. The participants in these experiments engaged in activities such as watching awe-inspiring videos of people in everyday situations encountering and interacting with huge animals or watching waterfalls, for example. Compared with participants who completed less awe-inspiring activities, participants in the awe conditions reported feeling time passing more slowly. Additional findings from the experiments suggest that awe caused people to feel more “in the moment” and led them to see time as more abundant. Nature itself may slow our sense of time. In a series of studies, psychological researchers at Carleton University in Canada tested whether people perceived time moving more slowly in nature compared with urban settings. In experiments that included both virtual and actual environments, participants experienced walking through either natural surroundings such as a forest trail or bustling urban locations such as New York City. They estimated the duration of the experiences in minutes and seconds. The first three experiments involved imagery, and researchers found no significant difference in estimates of actual time duration between the nature and urban conditions. But in all three studies, the participants in the nature condition reported feeling a slower passage of time compared with those in the urban setting. And when the researchers actually took participants for walks in either natural or urban settings, those in the nature condition reported longer objective and subjective perceptions of elapsed time. Individuals in the nature condition also reported feeling more relaxed than those in the urban condition. Of all the human emotions, fear is the most intensively examined in studies of time judgment, according to Sylvie Droit-Volet, a professor in developmental and cognitive psychology at Université Clermont Auvergne, France, and one of the most prolific researchers on emotions and time perception. Indeed, neuroscientist and author David Eagleman famously showed a connection between fear and time illusions several years ago. Eagleman strapped chronometric devices to experiment participants’ wrists and sent them on a 15-story drop on an amusement park ride. When asked later, most individuals overestimated the duration of the fall. Scientists hypothesize that threatening stimuli — the most innately disturbing forms of novelty — cause intense physiological reactions that distort our internal sense of the passage of time. In a study published in 2011, Droit-Volet and her colleagues had university students rate their moods both before and after showing them different video segments that induced a mood of fear, one of sadness, or a neutral emotion. In the “fear” session, the participants watched clips from horror movies including Scream and The Shining. In the “sad” session, they watched segments of heartrending dramas such as Philadelphia and City of Angels. And the “neutral” session involved informational videos (e.g., weather forecasts and stock market updates). As expected, the horror films induced feelings of fear among the students, while the dramas induced sadness and the neutral clips spurred minimal emotional effects. In addition, just before and after viewing each set of video categories, the participants had to estimate the duration of a stimulus (blue dot). Droit-Volet and colleagues found distortion in time judgment after compared with before (baseline estimates) viewing the scary films, while no change in time judgment was observed after viewing the sad and neutral film clips. Under the influence of fear, participants judged the stimulus durations as longer. The results suggest that fear distorts our experience of time in order to be prepared to act as fast as possible in case of danger. APS James McKeen Cattell Fellow Richard A. Bryant demonstrated this effect in the field 10 years ago when he and then-graduate student Leah A. Campbell conducted a study involving more than 60 people who went skydiving for the first time. Bryant and Campbell asked the participants to rate their levels of both fear and excitement as they prepared to embark. Thirty minutes after completing their 14,000-foot jump, the novices estimated, in minutes, the time that had elapsed from the moment they began putting on their skydiving gear to the moment they landed. Those who had rated themselves higher on the fear scale provided longer time estimates for the experience compared with those who scored high on excitement. Increasingly, researchers are taking a closer look at the brain to better understand the relationship between emotion and time perception. Neurotransmitters such as dopamine and norepinephrine, which play roles in reward and threat responses, respectively, are drawing particular interest. The work holds significant promise for research into the symptoms of mental and motor disorders that have been linked to both abnormal dopamine levels and impaired time perception. And neuroimaging, when combined with emerging statistical techniques, may help uncover new insights into individual differences in subjective time experience, William J. Matthews of Cambridge University wrote with Meck in a 2014 article. Other empirical pursuits are taking a longer view, focusing on how we experience passing months and years rather than the minutes that elapse during a car crash or a walk down the beach. The research also has important implications for our understanding of clinical conditions such as attention-deficit/hyperactivity and post-traumatic stress disorders, depression, and schizophrenia, all of which are associated with erratic temporal awareness. Time perception is even showing up as an outcome measure for other psychological phenomena, including social interactions. In a 2015 study, for example, psychological scientists led by APS Fellow Gordon B. Moskowitz of Lehigh University showed evidence that White people — particularly those who worry about appearing racist — perceive time as slower when observing faces of Black men. This could possibly explain a range of examples of implicit biases, such as doctors unintentionally spending less time with Black patients compared with White patients, they report in Psychological Science. Discoveries about temporal illusions hold implications for a seemingly endless stream of life activities. Beneath individuals’ efforts to stay patient in jammed traffic, set aside quality time with family and friends, meet a deadline, or even give an accurate eyewitness report lie our personal estimates of the seconds and minutes ticking forward. Failing, M., & Theeuwes, J. (2016). Reward alters the perception of time. Cognition, 148, 19–26. Matthews, W. J., & Meck, W. H. (2014). 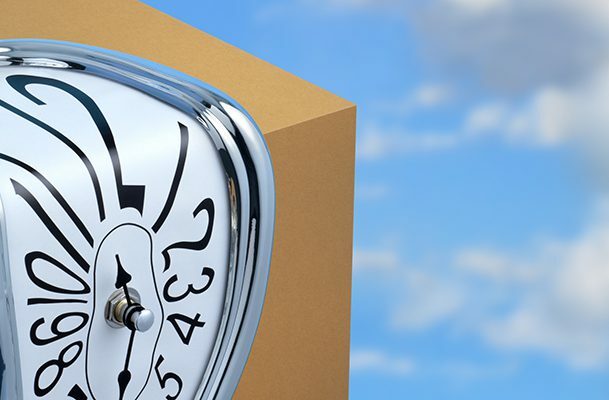 Time perception: The bad news and the good. WIREs Cognitive Science, 5, 429–446. doi:10.1002/wcs.1298. Tse, P.U., Intriligator, J., Rivest, J., & Cavanaugh, P. (2014). Attention and the subjective expansion of time. Perception & Psychophysics, 66, 1171–1189. While many time-perception studies show how emotional cues can alter an individual’s estimate of time passed, some have taken an opposite approach and demonstrated how manipulating the clock itself can affect engagement and enjoyment. reading and then recalling details from fabricated scientific news articles related to time. For each experiment, the psychological researchers led by Aaron M. Sackett at the University of St. Thomas in Minnesota manipulated external time cues (e.g., artificially accelerating or decelerating timers displayed on a computer screen). Sackett and his colleagues found that participants who reported feeling time passing unexpectedly quickly rated tasks are more engaging, noises as less irritating, and songs as more enjoyable compared with those cued to perceive time dragging. Pigeons too show time distortions. Using a temporal bisection task in which the pigeons learned to choose a red light when the target stimulus was on for 2 s and a green light when the stimulus was on for 10 s, we then tested durations in between. When the pigeons were required to peck the target, durations were judged as shorter than when they were required to refrain from pecking the target. Zentall, T. R., & Singer, R. A. (2008). Required pecking and refraining from pecking alters judgments of time by pigeons. Learning & Behavior, 36, 55-61. Grief makes time warp. For example, if you’ve just witnessed or received news of a loved one passing away, it’s as if time stands still. During the initial ‘shock’ of grief it is difficult to comprehend how others can continue to go about their daily lives whilst you’re in the midst of such catastrophic circumstances. I have to wonder whether we could ease the burden of grief if we could possibly find a way to reset our perception of time.